Through our years attending Maker Faire Bay Area we’ve realized this: we generally spend less time talking about SketchUp and more time using it. For us, Maker Faire is usually more of a workshop than a trade show. Recognizing that, we wanted to do something a bit different for Maker Faire Bay Area next weekend in San Mateo, CA. 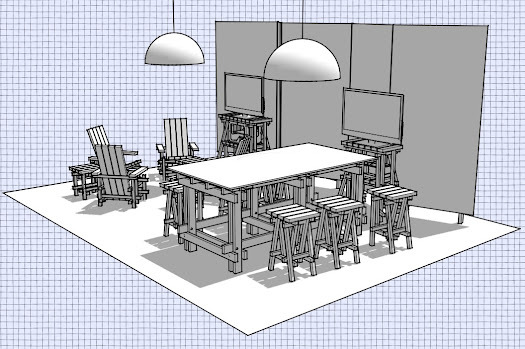 For starters, instead of setting up a booth to tell people about SketchUp, we decided it would be more fun to create a space where we could work with people on SketchUp projects. And since we designed it ourselves, we decided to make it ourselves too. We thought designing and building our own furniture was a good approach since we’re participating in Maker Faire’s Model Makerspace (in the Sequoia building). This is a prototype makerspace that pulls together the requisite tools makers need to make ideas real: electronics, laser cutters, CNC routers, 3D printers, science kits, and of course, 3D modeling. The idea is to teach folks how to set up their own makerspaces, and we’re excited to be a part of that effort. We like to say that nothing great was ever made that didn’t start with a great drawing. We’ll be working on drawings of our own project over the weekend, but we’d rather help you take your idea to the next level. 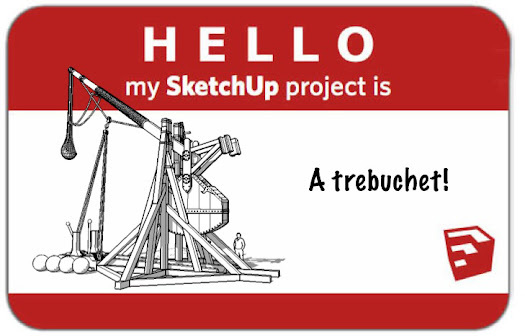 Do you have a SketchUp project or even a rough sketch of something you want to create? Send a model or an image of your project to sketchupblog@gmail.com, and we’ll hook you up with free admission to Maker Faire Bay Area*, and then help you work on your model. We'll be rolling up our sleeves on modeling projects all weekend in the Model Makerspace. 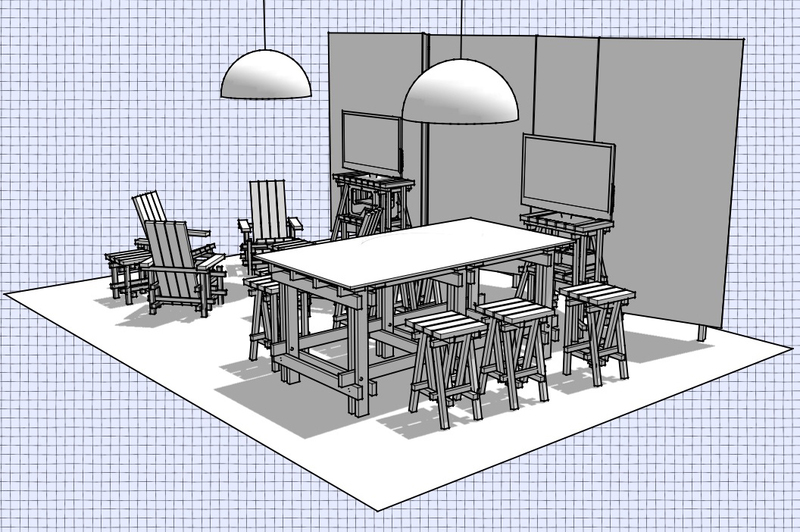 Of course, there are plenty of people who visit us at Maker Faire who have never used SketchUp before. At past Maker Faires, we noticed we were spending a lot of time teaching folks SketchUp one at a time, and A LOT of folks want to learn. So we had another idea: why not to teach everybody at once? So, in addition to our design studio in the Model Makerspace, we’re also hosting a Mass 3D Modeling Teach-in on the Maker Faire Center Stage at 7pm on Saturday. Come one, come all: learn, draw, then build something rad. *If you live in the Bay Area, send us a workable project. 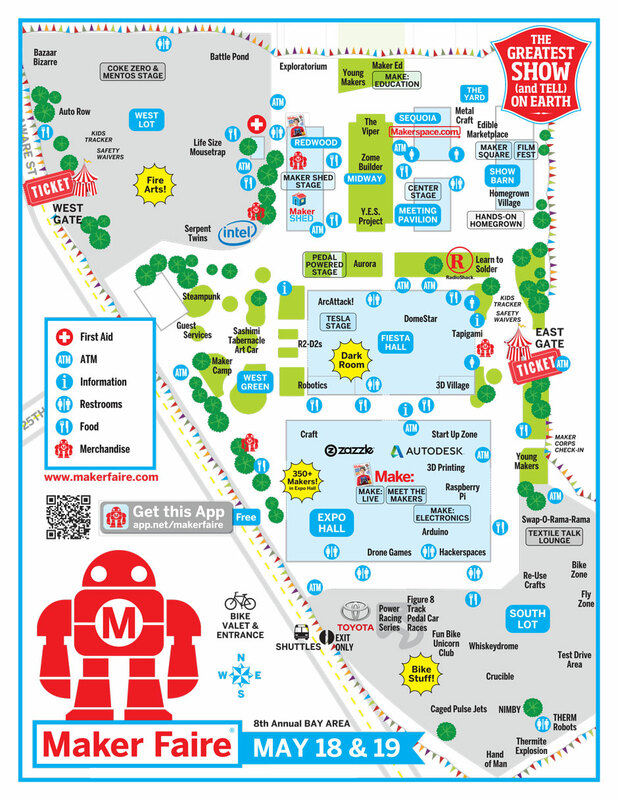 We’ll send you a discount code to get Maker Faire tickets online (on a first-come, first-serve basis -- limited availability).